Influenster – community for social media hotshots to share news, products, and reviews. 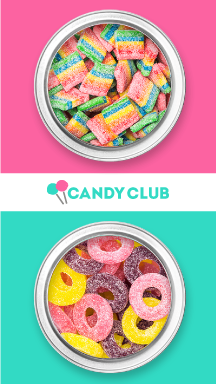 Candy Club – delicious, premium candies delivered to your door every month. 100% PURE – purest line of skin care, makeup and bath & body. Healthy, all-natural beauty products. Lip Monthly – a great new subscription box for everything lips! Lucy Barnes – fashion, lifestyle & beauty blogger friend based in the UK. Ciera Payton – friend and actress. The Little Epicurean – childhood friend with amazing recipes! Sunny Melon – a great friend and her beautiful photography. 12TwentyTwo – best friend forever, lighting the midnight oil as a wordsmith. GothDollie’s Etsy – handmade jewelry and crafts. Stanley Ho Photography – childhood friend and beautiful landscape nature photographer.